We support our clients with measurements for the full range of technical reviews and occupational hygiene. We consider complexity and professionalism important. 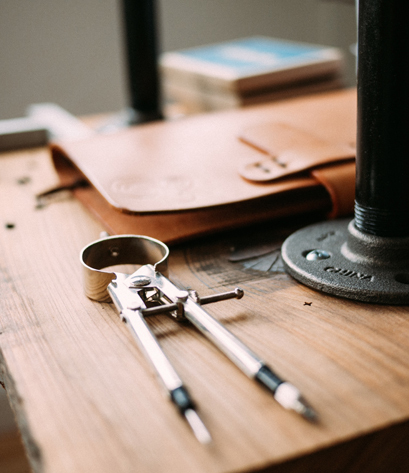 Measurements are performed with tools of first-class precision as per the examination and calibration conducted by the Hungarian Trade Licensing Office. Our colleagues in charge of measurements are active experts of the area. 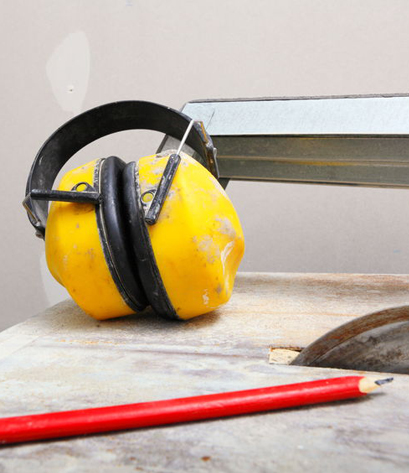 The purpose of the measurement of workplace noise is to identify workers’ noise exposures and therefore to protect their health. We identify the noise level with certified measuring instruments. We prepare official measurement records pursuant to the law. We select the most suitable hearing protector and plan the engineering reduction of noise. Its purpose is to ensure that the amount of light flow necessary for healthy and safe work is provided in all cases. The measurement is prescribed in the Joint Decree No. 3 of 2002 by the Ministry of Social and Family Affairs and the Ministry of Health. With the method of the measurement, we take into consideration not only the safety requirements, but also the relevant quality standards of lighting measurement to fully comply with the points of the MSZ EN 12464-1:2003 standard. In case of workplaces whether it is an office, a warehouse or shop, the ideal requirements of air flow are regulated in the Joint Decree No. 3 of 2002 by the Ministry of Social and Family Affairs and the Ministry of Health. In addition to the above, we also deal with the measurement of laminar flow cabinets, exhaust hoods and vacuum pumps. In addition to precisely setting air flow, the most important thing is to set and maintain the ideal temperature and humidity. To prevent disease at the workplace and improve general well-being can be reached by measuring and, if needed, modifying the temperature and humidity while considering the type of room and work processes. We measure the most dangerous air pollutants with immediate result. We conduct the measurement of particles (CPC=condensation particle counter) and dust concentration in office environments, laboratories, fume chambers as well as in smoke extraction enclosures. Thanks to the very small laser particle counter, we are able to conduct measurements to 10 nanometers regardless of the state of matter. We conduct the measurements in full compliance with the Decree No. 22 of 2006 (24 June) by the Ministry of Health, MSZ ISO 2631-1:2002 and MSZ EN ISO 5349-1:2001 standards, with particular attention to the rules of on-site tests. We offer vibration exposure measurements of arm/hand as well as full body. Every personal protective equipment shall undergo a regular review, especially fall protection equipment such as harnesses. Following the MSZ EN ISO/IEC 17025:2005 standard we inspect your personal fall protection equipment to make sure that they provide full safety if they are needed. Shock protection standardisation review is prescribed in the Decree No. 14 of 2004 (19 May) by the Ministry of Employment and Labour. Having conducted the on-site measurement and review, records are prepared pursuant to the MSZ 60364 standard [Msz 172/1 standard]. Pursuant to the Decree No. 14 of 2004 (19 May) by the Ministry of Employment and Labour we measure each type of electric machines, equipment, workplaces, offices, shops and shelves. Pursuant to the Decree No. 14 of 2004 (19 May) by the Ministry of Employment and Labour we measure each type of workplaces, offices, shops and shelves. The procedure, necessity and frequency of reviews are determined in the National Fire Safety Regulation. Lighting protection equipment shall be reviewed at least every 3 years in a facility or outdoors with fire classes ,,A” and ,,B”, at least every 6 years in a facility or outdoors with fire classes ,,C-D-E”. Nowadays almost all objects, tools, semi-finished or finished products have undergone surface treatment with some type of coating, for example with lacquer or paint. Coating used for industrial purposes and different surface treatment methods are usually applied for corrosion protection, to change a feature of the material or for the sake of aesthetics, but in all fields it is necessary to be aware of the composition, physical and chemical properties or thickness of coatings. Measurements inform us of the following details of the surface: the thickness, environmental resistance (e.g. UV resistance, climate durability or fire resistance), strength (stiffness, tensile strength, abrasion), duration of drying, etc. of layers. Our activities include measuring the thickness of non-magnetic metal or insulating layers (chrome, copper, tin, enamel coatings, paints, lacquers and plastic coatings) on magnetized metals (e.g. steel or iron) and that of non-metallic coatings (paints, paper layer, glass or paper coating or elox layer) on non-magnetized metals (e.g. copper, aluminium, bronze or acid-proof steel). Pursuant to the Decree No. 47 of 1999 (04 August) by the Ministry of Economy, we conduct periodic reviews and, if needed, repair or maintenance work on ropes, chains and slinging equipment. All work equipment, including ladders need to be regularly reviewed. This activity does not require qualification, but an experienced practitioner and sharp eyes. However, our experience shows that our partners prefer outsourcing this review of fundamental importance knowing that most of the grave and fatal falling accidents happen from 1 – 2.5-meter high. We conduct full review of your welding machines be it an ad-hoc review or planned occupational safety inspection. Air-conditioning machines need to undergo regular leak inspection. We check this with a special compression tool, then we make recommendation on effective repairing method or conduct full fixing if needed. Establishing a new facility or in case of construction, the environmental noise shall be measured. Measurements are performed with SVAN 971 type tools of first-class precision as per the calibration and verification conducted by the Hungarian Trade Licensing Office. For non-destructive testing of the quality of concrete and other building materials of final buildings or pre-fabricated components. Concrete stiffness, Schmidt hammer, ultrasonic concrete tester, compressive-strength test, probe penetration methods are all among our services. In case of concrete or ferroconcrete structures, stiffness measurement may be needed more than once. The two most typical cases: before removing the formwork from fresh concrete or during conducting a structural engineering assessment of an old building. However, this time can be shortened only within certain limits. It takes a relatively long time for concrete to reach the maximum of its stiffness. The question is how much time needs to pass until it reaches the necessary level of stiffness to safely remove the formwork from it and to reuse it elsewhere. This depends on several factors. The engineer may set different stiffness value for, for example, frames, slabs, footings or base concrete. The stiffness value is influenced by the concrete’s composition, quality, inert materials, environmental temperature, etc. Subsequently, from tables, charts and theoretical calculations it is impossible to tell whether the formwork can be removed or not. The only effective measure in this case is to conduct a (preferably, non-destructive) stiffness test on the surface of the concrete. In case of structural engineering assessment, it may also be necessary to conduct an instrumental diagnostic test of ferroconcrete structures. The reason and objective of assessment could be diverse. It can happen that the function of a long-used building, the frame of which is perfect, changes which entails additional weight or even modifying truss structures. In such cases we definitely recommend conducting a stiffness test. 1126 Budapest, Királyhágó street 1-3.